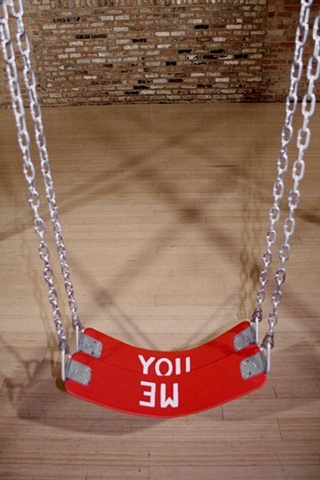 Detail of swings from CONFLICT OF INTEREST: Two swings are attached at the same point on a swing set allowing two people to swing but only if they are willing to crash into each other. This piece is about the idea of togetherness. No matter how hard we try to coexist it always comes down to the fact that we are individual beings.